HERE'S the first look at Honda's 2016 CBR500R, which debuts today at the American International Motorcycle Expo in Florida. As well as the new look, which Honda calls 'edgier', the popular 47hp A2 bike has gained a pre-load-adjustable fork, a larger fuel tank, adjustable brake levers and a shorter exhaust. Oh, and a new ignition key. 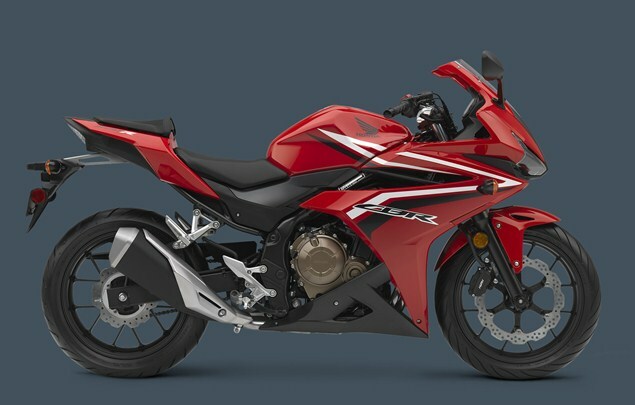 Honda's press release said: 'In conjunction with its global public debut at the American International Motorcycle Expo in Orlando, Florida, Honda Motor Europe is pleased to release the first images of the 16YM CBR500R. In addition to a totally revised, edgier look, new features include adjustable pre-load for front suspension, larger fuel tank with new hinged fuel cap, adjustable brake levers, “wave” style ignition key and a new shorter exhaust muffler with internal structure tuned for a satisfying low, crisp exhaust note.